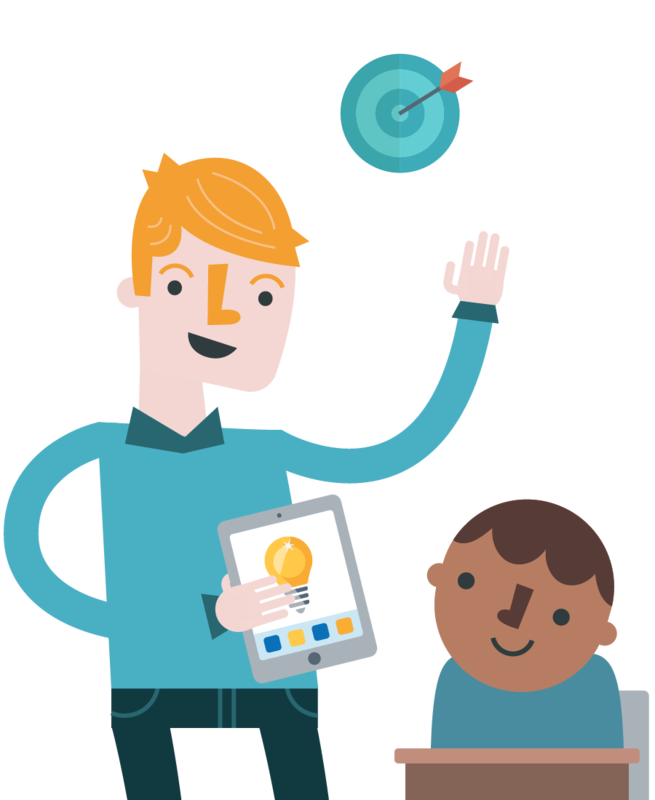 Built to help teachers achieve their instructional goals, eSpark’s Custom Assignments feature delivers a mini-quest of engaging apps, videos, and a post-quiz to give students both direct instruction and practice to target a standard. 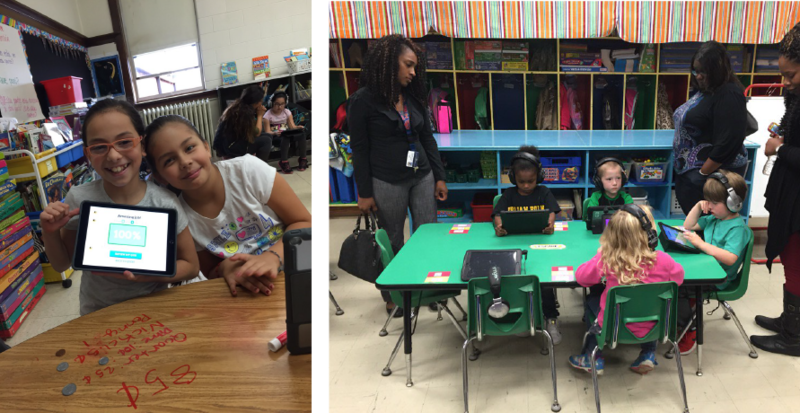 Give students the opportunity to work on specific standards outside of the normal pace of their diagnosed quests. This provides them the opportunity to re-visit areas where growth is needed, or to be challenged with new concepts ahead of their classmates. Want certain groups of students to focus on a particular skill? Create small groups to easily give assignments and monitor growth. 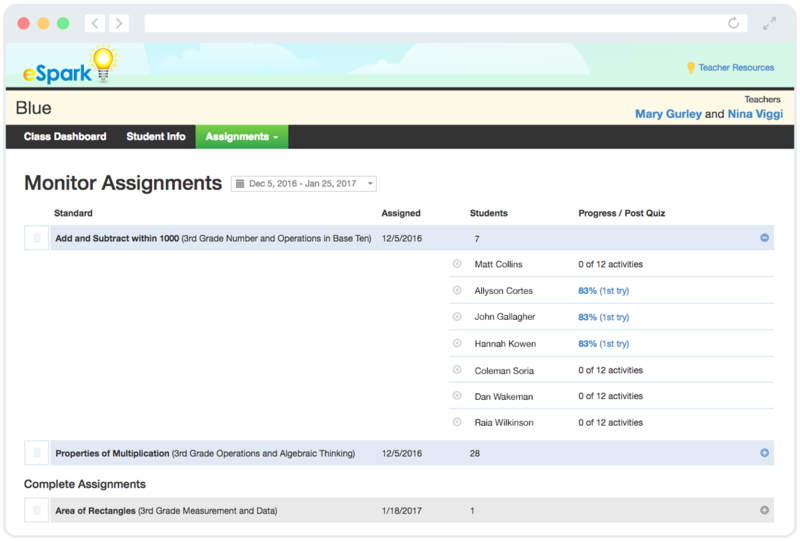 Dashboard views allow teachers to easily see which standards students or groups are working to complete, along with past activities they have already mastered. 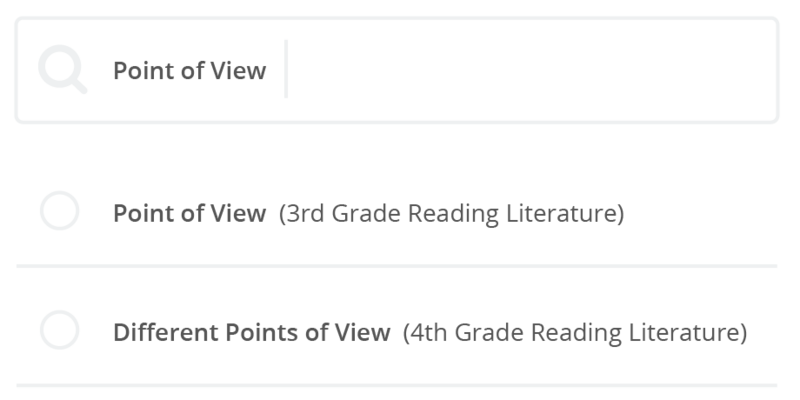 Standards are easily unassigned from individual students or entire groups, and past weeks can be viewed to understand what has already been accomplished. With Custom Assignments, lengthy prep for skill reinforcement a thing of the past.